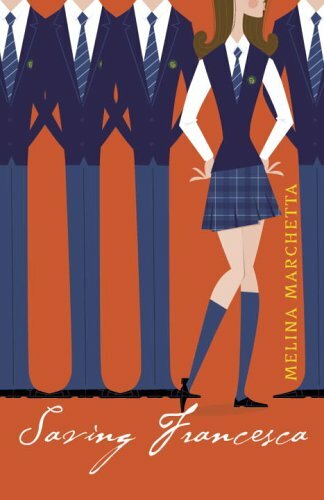 Happy Book Birthday to Melina today! I was so excited to be asked to host a little Q&A with her. I have heard nothing but great things about her and her work. 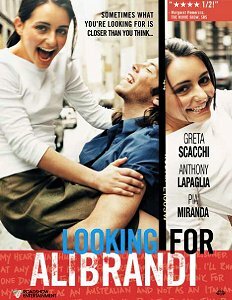 Your first novel, Looking For Alibrandi, was also adapted into a movie which you also wrote. A part from the obvious, how was writing the novel different than writing the screenplay? If you had to include everything in a novel it would literally be a five hour plus film. Film scripts in Australia can’t really be over 105 minutes because of budget, so obviously something has to give and usually it’s someone’s favourite scene or character. The other thing is that what a reader sometimes falls in love with is the character’s first person voice (think Alibrandi, Francesca, Jellicoe) and the first thing that has to go out the window in a film script is the character’s narrative voice so I have to find a way of capturing it through visuals, dialogue etc. Sometimes voice over works but you can’t have a film script with wall to wall voice over. How does living in Sydney, Australia affect your writing? Well it’s good for it and bad for it. If I’m writing a fantasy novel, I can’t really get into from my inner city world. For Finnikin I travelled to the Dordogne area of France and for Froi I visited Cappadocia Turkey (and other parts, but Cappadocia has the greatest impact). 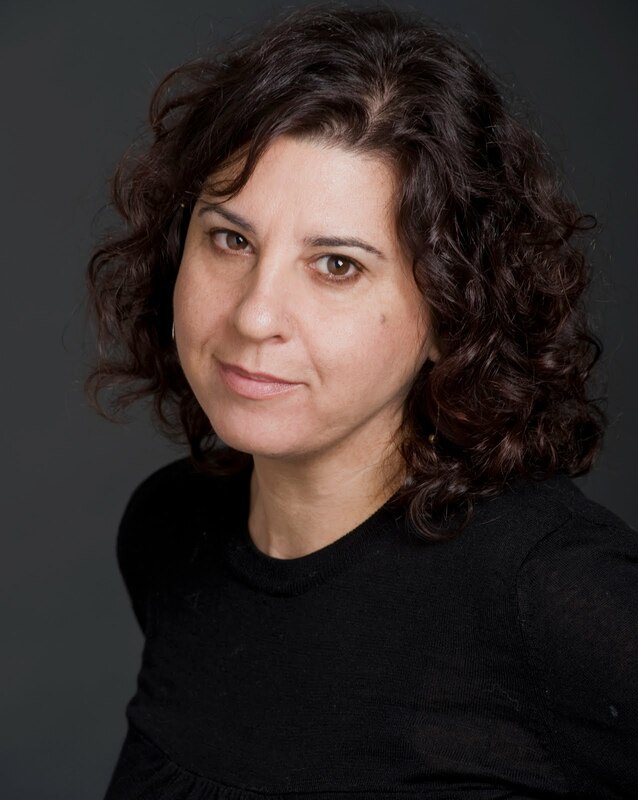 With the three urban novels, Alibrandi, Francesca, and The Piper’s Son, they are all set in my suburb or neighbouring suburb or pretty much the school I taught at for ten years. I remember promising my publisher after showing her first draft that I’d work on the setting in the second draft of The Piper’s Son and she just said, ‘It’s all there.’ Jellicoe was the hardest to write location wise because I didn’t have a set idea of where that was, but in my heart it’s the Riverina area of NSW. The Piper's Son takes place years after Saving Francesca. Why that amount of time and why choose Thomas as the main character? I don’t plan what I’m going to do in a couple of years. I wait for the character to come to me and in 2008, exactly five years after Francesca, Tom came. I remember the exact moment and I’ve never remembered the exact moment of a character coming to me before. At first I sent him away because I didn’t think Tom was big enough a character for his own novel, but he was very persistent. Thank God. I’m going to cheat now and expand on my three words of the previous question. The Piper’s Son is a love story between men, women, guys, girls, brothers, sisters, aunts, nephews, mothers and sons, fathers and sons, grandparents, grandchildren etc etc. It really is an ode to love and all the fury and disappointment that comes with it. Was it important to write The Piper's Son as a stand alone for those who hadn't read Saving Francesca? Intentional? Because I was introducing a whole new bunch of family members and because Frankie and the gang were out of school and uni, I didn’t think it was important to constantly refer to the past and what happened at school. I love the fact that people are reading The Piper’s Son first and going back to see what the friends were like when they were seventeen. The characters go through some pretty heavy and heartbreaking stuff. Do those scenes come easily for you? Do you cry right along with them? Structurally this was the easiest novel to write (especially after Finnikin and Jellicoe) but emotional, I have to be honest that it was pretty crushing at times. Because it’s dealing with grief, it was so important that the Finch Mackees had a warped sense of humour and the novel ends with so much hope. I can’t and won’t write without hope. I’d rather never write again. Strangely, I think it’s my funniest novel. 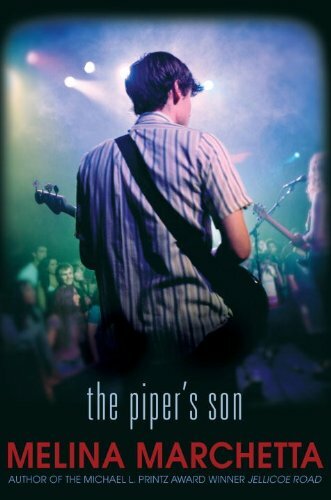 I've heard nothing but great reviews for The Piper's Son. How do you, as a writer, handle negative reviews? The same way many people handle negativity. Badly. Pathetically. Slightly teary. With fury. With great pretense that it’s nothing. People tell me not to read them but I’m attracted to them like a deer to headlights. Some criticism is fine because it’s obvious that the reader didn't connect with the novel and you can’t do anything about that. But others have an awful tone to them and I find myself constructing letters in my head in response, but I never go through with writing them. The ones I like least are when a reviewer or blogger makes blanket statements about the plot having holes. If there’s a hole in my plot, I want the specifics, not generalisations. Any specials plans for your release day? I’ll be in LA at the time with a friend who lives there (she directed Alibrandi) and then I’m flying to Boston to see my publishers at Candlewick and then it’s New York where I’ll be part of David Levithan’s Teen Writers Festival from the 14-20, March so that will be fun. You can find the schedule on Facebook. I’m very unfamiliar with US readers except through letters and blogs, so it will be interesting.